Using a sharp knife, make cuts across each potato about 2/3 of the way through. Arrange potatoes in a single layer on a foil-lined baking sheet. In a small saucepan, combine butter, garlic, and rosemary. Over low heat, heat until butter is just melted. Stir and let stand for 1 to 2 minutes. Liberally brush potatoes with herb butter, making sure to get into the slits as possible. Season with salt and pepper to taste. Bake in a 400 F oven for about 30 to 40 minutes or until potatoes are browned and tender. 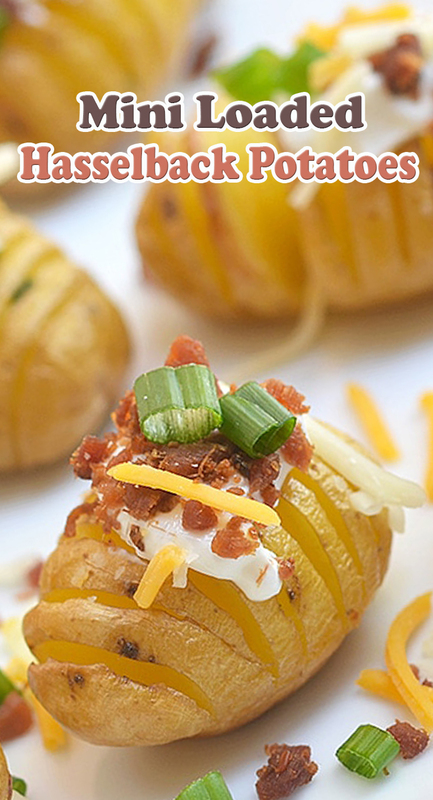 Remove from heat, allow to slightly cool and top with sour cream, bacon, shredded cheese, and green onions. Serve immediately.